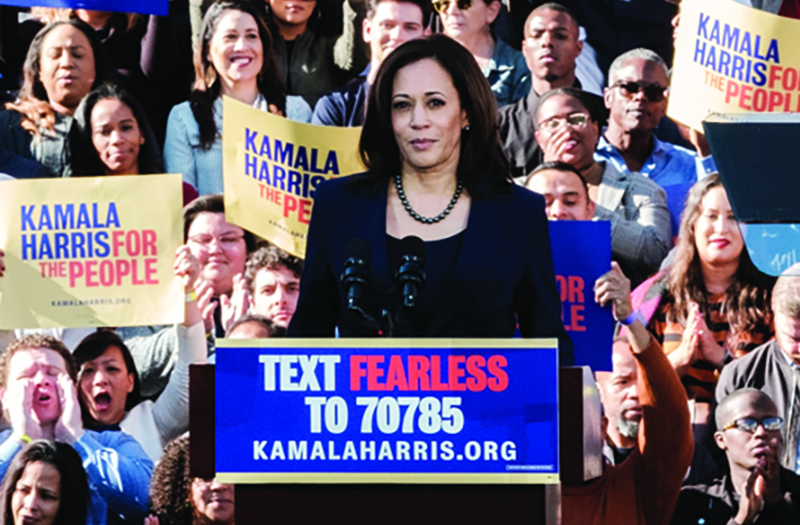 Kamala Harris returned to her birth place to kick off her campaign for the US presidency with some hometown flair. 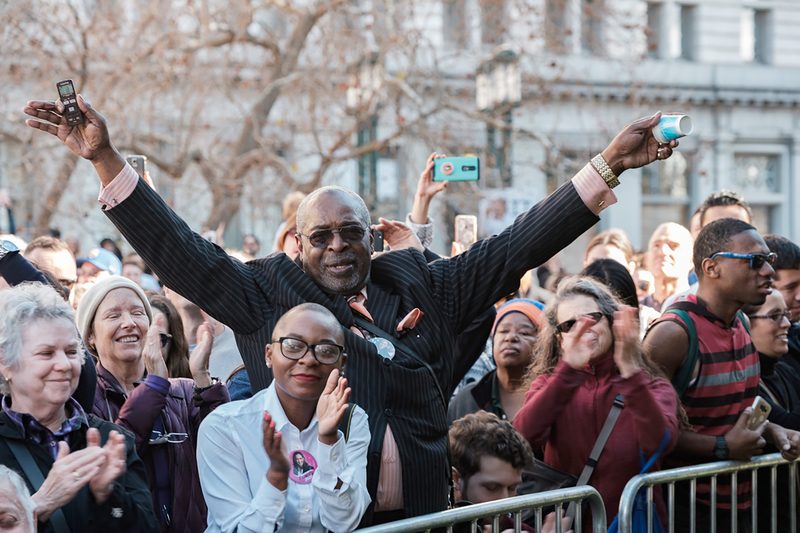 The Clouds cleared for a rally that drew an estimated 20,000 people to Oakland’s City Hall on Sunday, Jan. 27, the crowd overflowing out to Broadway and E. 14th street. 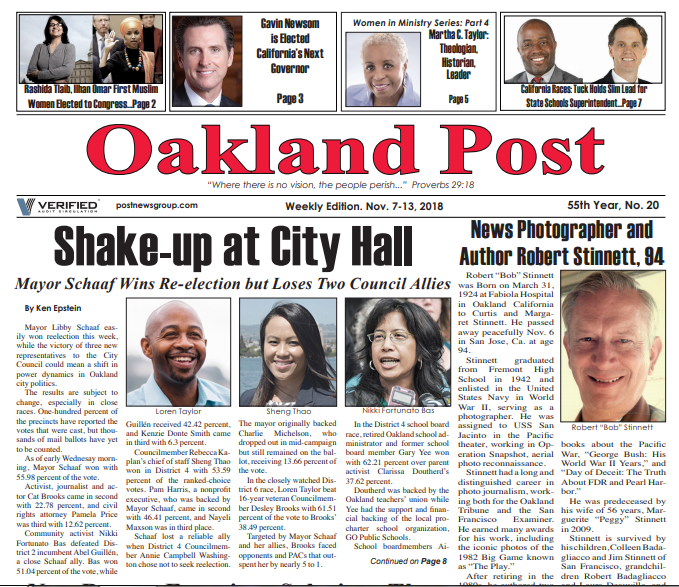 Oakland Mayor Libby Schaff introduced Harris after a musical interlude with Oakland’s own Samba Funk band and the Skyline High School Band. The National Anthem was sung by Bay Area Inter-Faith Choir. Schaaf said she met Harris in her youth—their parents were friends. 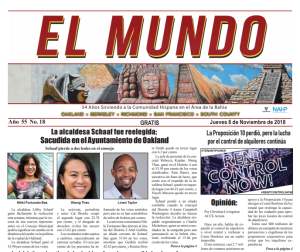 Schaaf spoke about Harris’s leadership at SF MOMA in establishing an art program in West Oakland. “Before anyone was watching, Kamala was fighting for the people, and that is why she is the leader this country needs,” Schaff enthusiastically told the assembly. 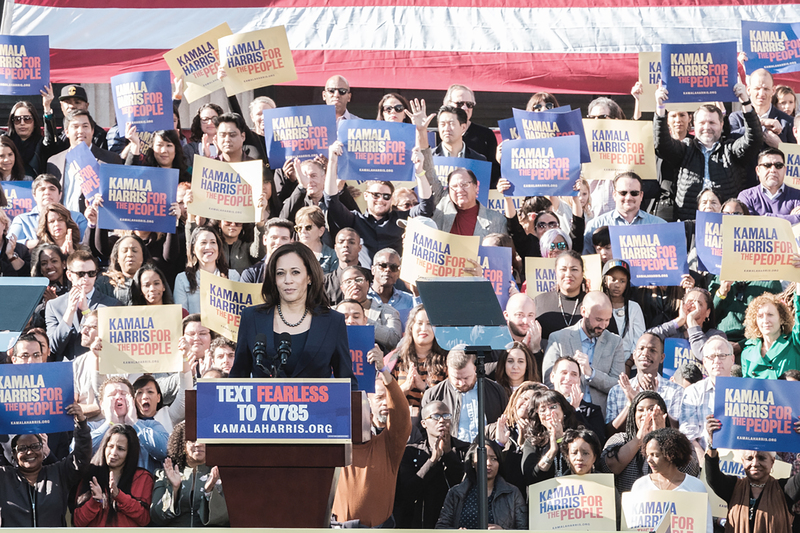 Harris listed several issues facing the working class today that her campaign will address: the income gap across both gender and race lines, over-incarceration of Black men, affordable housing, the opioid crisis, and “age-old forms of hate”—racism, sexism, and homophobia. Harris acknowledged that Climate change is real and a serious problem, bringing floods and drought to the heartland. “We will act on science facts, not science fiction,” she said. Harris called out current government leadership for hurting the American people. “We have leaders who attack public schools and vilify public school teachers—that’s not our America. 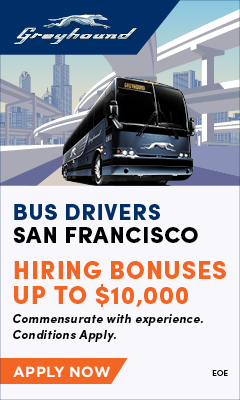 When bankers who crashed our economy get bonuses but workers who brought our country back can’t even get a raise—that’s not our America. And when American families are barely living paycheck to paycheck, what is this administration’s response? Their response is to try to take away health care from millions of families,” she said. She also promised Medicare for all and a big middle class tax cut, paying for it by reversing the Trump tax giveaway. Then she said “I stand you before to announce my candidacy,” and the crowd again erupted into cheers and applause. “I am running to fight for an America where economy works for people and you only have to work one job to pay the bills. I’m running to fight for an America where no mother or father has to teach their son that people may stop him, arrest him, chase him, or kill him, because of his race.